We provide our patients with endodontic treatment to resolve any internal infections of the teeth. 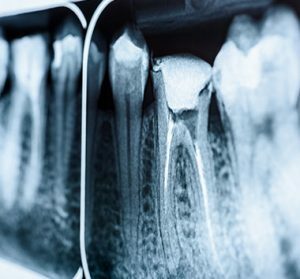 Root canal treatment is the most common form of endodontic therapy, and at Broseley Dental Practice we can provide this highly skilled and delicate procedure to resolve the pain and swelling that can arise from this type of infection. The soft tissue or dental pulp inside a tooth becomes vulnerable to infection if the outer layers have cracked or been damaged. They will then remove the top of your tooth to access the internal tissue and clean the infection from the soft tissue, using files and disinfectant. The dentist will end the procedure by using a crown to strengthen and protect the remainder of your natural tooth.